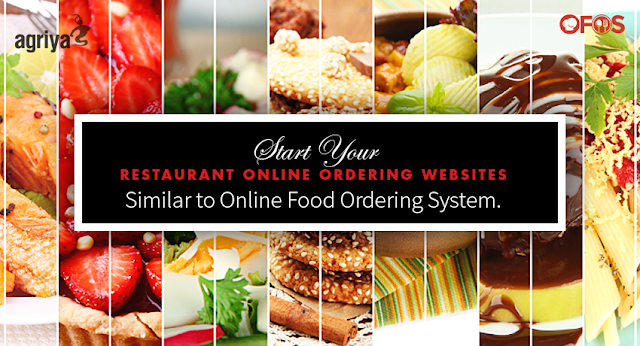 Having an online ordering system for your Restaurant is a lucrative option. The reason being that it saves you from the everyday hassles of receiving and fixing orders over phone. The orders are generated and sent via your restaurant’s online ordering application or website. This bears a close resemblance with the online Food ordering Systems. However a restaurant online ordering application is exclusively to receive orders from the concerned restaurant. Both the applications can be built up using online food ordering software available in the market. The system functions precisely the same way as Food Ordering websites. You have an online website with all the available features to get you going. 1. Your site is accessed by customers from different areas and locations. 2. The customer belonging to a particular location is automatically identified by the GPRS system installed into your Online Ordering System. 3. After setting his location, either manually or automatically( Both the options can be availed), the customer can search for his choice of food-item from the detailed menu page( With images mostly), specifying the name, the ingredients, price of the items and the time-slots for availability, all in one place. 4. The items selected by the customer are added along with the delivery charges which is calculated depending on the distance of operation. 5. Once the deal is finalized, the delivery person can pick up the order and deliver to the customer under concern. The system automatically generates invoices based on confirmation of orders made by the customers. The invoices are generated and auto-stored in their profiles. Reports are generated and managed automatically online. The reports serve as a review of the orders made and received both for the customer as well as the Restaurant. This is a neater and less cluttered system for Report generation by Restaurants. CRM or Customer Relationship Management is the core of every business and serves equal importance for the Restaurants and food chains. This part of the Restaurant’s functions is also carried out beautifully by this exclusive online system. Starting with maintaining cordial relations with customers, sending them messages on offers and discounts, generating new contacts through old ones, motivating old customers with exciting deals and so on, the online system does more than any other system of operation within an organization. The Admin Module gives instant access to the system operators or Restaurant owners who can change, edit or delete based on the requirement of their organization. Moreover, the system administrator may change the look and feel, customize the profile, generate food catalogue, etc based on suitability. The orders can be safely dispatched to the customer’s location with the help of GPRS enabled system and SMS printer. How to create A Restaurant Ordering System? There are many ways you can get a personalized system designed. You can access a web developer to get it designed for you. This might need some of your valuable time. You can simply avail an online solution and get started almost instantly as well. The best example of late is Agriya’s innovative Digital Restaurant Ordering system solution, a Bootstrap web Development Solution. Avail it for an even better experience and instant website formation. To design a Restaurant Online Booking Solution, you have to have a plan & theme set up on your mind. To make best use of the system, ensure to lay your hands on a well-improvised and advanced web-solution. Agriya’s Just Eat Clone Script is an online web solution to generate such platforms for online Restaurants.